Most of us were told growing to sit up straight or stand up straight; it is all very easy to maintain that when you are still young but what happens as you grow up and your back muscles has been trained to form a different posture? some may have it bad with back hunched from no attention paid to their posture. Â You may find this quite a lot with people who work all day in front of computers or if you happen to work a job where you stand all day. There is a gadget for nearly everything I have come to notice, maybe soon we will have a sensor to tell us when we need to drink water or eat. Â Lumoback was a successful kickstarter project that a lot of people can certainly relate to; it takes up a role of you mum or dad telling you to sit straight or stand up straight whenever you are found to be slouching. It comes coupled with an iPhone app which monitors your posture and visually displays your progress using charts over time; it is currently compatible with the iPhone 5, iPhone 45 and iPad 3 or above with iOS 5.1.1; no support for other devices or OS yet but who knows that the future holds. The strap/belt itself has ventilated straps although if you live in a hot country you will still gather some sweat between the rubber sensor and your skin. Â It is comfortable to wear all day and can even be worn to bed if you like; it is also discrete so you can wear it anywhere. 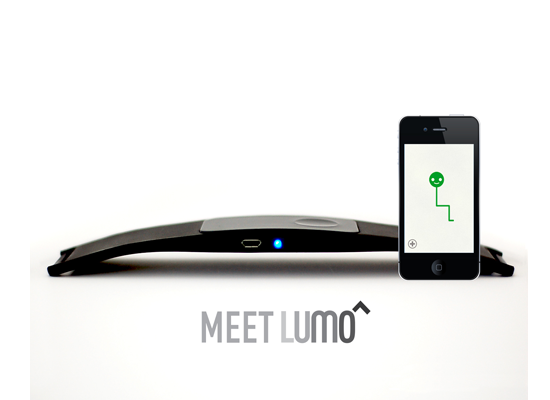 The sensor works by constantly monitoring your pelvic tilt and measures it to help you maintain a neutral pelvic alignment meaning if you slouch, lean forwards, backwards or shift weight to one side of the body, Lumoback will tell you via a subtle/gentle vibration to nudge you back into the better posture (sitting position, standing position). Â Those measurements are then transferred to your iPhone app wirelessly to display a meaningful graphics to help you monitor your progress over time. Bad posture can lead to having back pains, bad sleeping habits or better yet not looking hot in your new suit or dress because your back has a little hunch shape to it. Â Remember it takes time, and in order to re-train your muscle to a new muscle memory, it will take consistency and training to get there and that is exactly what Lumoback is there for. The accompanying app is very cool and easy to follow, once you have gone through the initial setup stage which is very straight forward, you will see a stick man on the main page that mimics your current sitting position or if you are standing up, your standing posture; you have three simple tabs for stats, homepage and settings tab. The main tabs are the stats and Lumo tab; the stats will show you scores daily,weekly and monthly while the Lumo tab is where the stick man is. Hitting the day will reveal another page that compares time spent straight versus time spent slouching using easy to understand bar chart. The activity tab next to it will then show you time spent running, walking, standing and sitting, in other words, how lazy you have been. Â If worn to bed, it shows time spend on your left, right, back and front sides, the overall impression of the app is how well is made to be simple and intuitive to give required information. 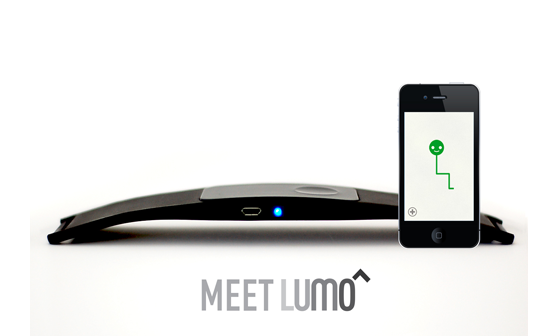 If you are in a market for something practical to fix your posture then your should check out Lumoback!